Women have been incurring risk in order to achieve beauty ideals since the beginning of time — from ancient Grecian women using white lead to lighten their complexions to present day neurotoxin injections used to smooth wrinkles. It’s natural for people to want to enhance their beauty, but many of the products and methods we’ve employed over time are anything but. Rewind to 1856 — a chemistry accident led to the discovery of the first synthetic dye, a bright shade of mauve. This discovery made a drastic impact on the world of textiles, introducing bright hues never before possible. The beauty industry followed quickly behind. By 1908, Eugène Schueller, chemist and founder of L’Oreal, had filed his first patent for a product that uses a blend of chemicals to alter hair color. Since then, little has changed about the way we dye our hair. And why should the technology change? The desire to have beautiful hair is practically genetic and certainly (as a trend) unwavering, and the FDA has little authority to intervene when something goes awry. The demand for hair dye has thus consistently continued to grow. So when an award-winning chemist — founder of the Green Chemistry movement, John Warner — designs a product that mimics biology and creates a non-harmful and non-chemical natural hair color, it’s a really big deal. A couple months ago, we sent an email to our We Heart followers — a group of people who have signed up to find out each month what company or product the ASC team has fallen in love with. In that email, we asked them to tell us what they love for a change. Over the last two years since we created the We Heart column, we've posted about everything from coffee-infused chocolate to baobab coconut water drink packets… So we wanted to give the We Heart community a turn to tell us what company has truly wowed them with their dedication to natural ingredients, ethical sourcing, company policies and outstanding results. 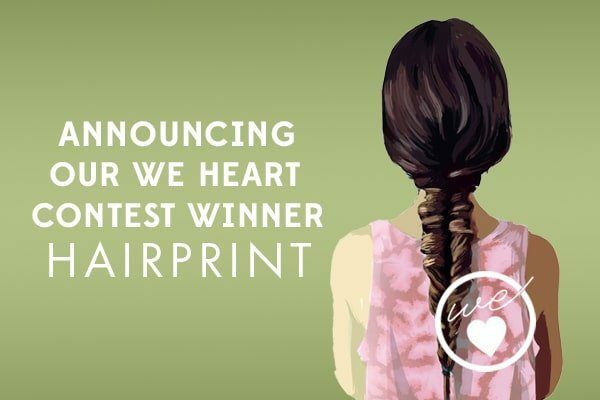 We decided to make it a contest, making the winning nomination our next We Heart feature and gifting 10,000 points to the person who recommended it. After receiving dozens of amazing nominations, we decided on a product that stood out as being not only natural, but totally innovative and unlike anything we had seen before. Congratulations to Alba, who nominated Hairprint! Hairprint restores your hair to the color it was before you went gray. It sounds too good to be true, simply because it is so unlike the way that typical hair dyes work. When a beetle sheds its exoskeleton, it replaces it with one that that starts out soft and white. After a couple of hours, the new exoskeleton turns hard and black, just like the one that was just shed. Like hair that has gone gray, the young white exoskeleton is brittle and loses water quickly. So if a beetle can restore color to its exoskeleton, can we do the same for our hair? Dr. Warner looked at what is missing from gray hair: the natural pigment eumelanin, a type of melanin. He noted that L-dopa, the precursor for melanin, is made from phenylalanine, an amino acid present in both human diets and the diet of beetles. The beetle is able to make melanin quickly enough to generate its exoskeleton color in a couple hours, so Warner wondered if he could mimic this chemistry and apply it to human hair. He ordered samples of gray hair and got to work. And he saw success — the gray hair samples regained colored after a couple hours, but they weren't all the same color. He imagined people applying this treatment to their hair and getting varying results. That wouldn't do. The reason he was seeing different results was the treatment was restoring the hair to the color it was before it went gray. For people whose hair has been gray for many years, it can take two treatments to cover, but for most people will get coverage after just one treatment. It's easy to do yourself at home, or you can bring it to the salon and have them apply it for you. For the first time in decades, there is a healthy way to cover gray hair or restore shine and softness to hair that has become brittle and dry (they have an anti-aging kit for those whose hair has not yet gone gray). 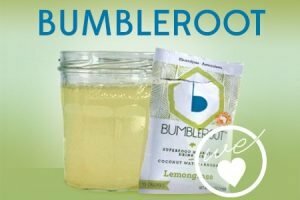 We are so excited to introduce you to this amazing product, and we look forward to hearing about your success using it! Every month, we tell you about something we love in We Heart. We also make an effort to get to know the company we feature. Since Hairprint is local (based in Sausalito, Ca), we invited Jasmine (one of the founders we mentioned above) into the office so we could all chat and get to know each other. One of the coolest things about this column is that we get to connect with people who are doing amazing things in the world. A hair coloring process that mimics biology and restores hair to its original color? How amazing is that! We so appreciate Alba for recommending this product and everyone who submitted nominations for this contest. Have you used Hairprint? Tell us about your experience in the comments below. Hi. How long does the colour last? I have a lot of gray hairs perhaps 20% (more in sides). I have been using black henna and recently normal henna Coffee mix which I keep for 8-9 hours then wash off. My natural hair is black colour. The henna I have been using says natural henna (of course black henna are not purely natural) but I stopped using black henna 1 month before and now using purely natural Henna cofee mix. What sbout the blonde people in the world!!? It’s all well and good if you have dark hair. Would appreciate more frequent updates on when this product will be available for blondes and red heads! My brothers and sisters, until they make Hairprint for blondes and redheads, I recommend Henna, Senna, and Indigo for you. Be sure it’s just the pure, powdered leaves and nothing else, and preferably organic, to avoid unwanted ingredients and heavy metal contamination (and also to ensure you can successfully use Hairprint later, once they invent it for you!). I recommend Light Mountain Natural Hair Color, which I used myself for about 4 years before discovering Hairprint recently (I’m a brunette). And FYI, “Senna” or “Neutral Henna” are other names for the Cassia plant, and there are two varieties I know of that will give blonde and gray hairs a golden hue, if left on long enough (at least 1 to 3 hours or more): Cassia obovata, and Cassia auriculata. Oh no! I’m sorry you had a bad experience using Hairprint. From what I’ve learned, this product is a little different to use than typical hair dye, and can take multiple applications in some cases. I’m emailing the owner to see if we can connect you with customer support so they can help you. Yes! This is a great way to use Hairprint. Wow, this is fascinating! My hair is actually highlighted, so it wouldn’t work for me. And thankfully I have no greys yet (I’m 49 so kind of surprised!) I’m definitely going to pass this info on to friends that could use it. Love this idea…thanks for spreading the word! Wow! So cool you posted this. Kris Carr mentioned you in a comment today and I clicked on your site and discovered you also love the Hairprint product I have been using. I am excited to try your skin care line. My skin and hair and body is very sensitive and so I appreciate what you all are doing. Hairprint has no smell and has actually restored my hair back to health. I used to not be able to color my hair before this (even with so called ‘natural’ dyes). Thank you for posting this.